Dinner and a show with the emphasis on dinner. Aperitivo is right smack in the center of downtown Schenectady and sits conveniently next to Proctors Theatre. 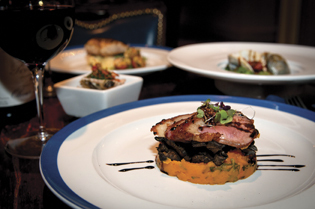 It offers small plates, full dinners and some pretty wonderful adult beverages. This is a place that you could go for dinner and a show but end up just staying to eat and skipping the show. It is that good. Do you get to Charlton area much? Well, you may want to start. Smith’s Orchard Bake Shop is legendary but never a winner in our “Best Of” until this year. This just goes to show that our readers are truly the “foodies” of the area, as the apple pie Smith’s makes is out of this world. yet old world, as the Psychedelicatessen. With bagels made from scratch every day from a third-generation Jewish recipe, you could easily close your eyes with each bite and picture yourself in NYC having a nosh. Now it’s official. 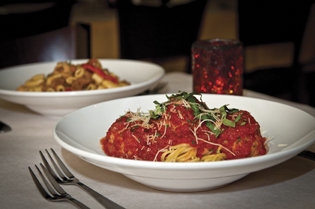 Bella Napoli is loved by every corner of the Capital Region. This makes the 12th year in a string of wins in our “Best Of” for the reigning lords of the Italian cookies and more. Una bella notizia da buoni amici Bella Napoli! Joseph Mallozzi first brought us his mini pastries in the 60’s so that makes our love affair with Villa Italia forty years and still going strong. Pastries, cakes, cookies, and desserts of all kinds. Yum! If ever there was a business that has re-invented itself, it is certainly The Ruck. Certainly, the list of beers on tap is too long for us to list, but trust me when I say that if they do not serve it, you probably shouldn’t be drinking it. They select and serve the best. The bottle beer selection is plentiful, as well, but the chance to meet up with friends for awesome beer and good food makes The Ruck another Troy must do. Okay, it’s confession time. This is a new category for us that we dreamed up to find out what you know and we may have missed. Well, it worked. Tara Kitchen was the chosen secret and we immediately fell in love on our first visit. Where have you been all our lives? See the story on the owner in our People to Watch section on page 38. I admit it; I live for No Crash Risotto from New World and have to eat the same thing every time I go. I am always surrounded by family and friends who only speak or moan in taste-bud delight with all the other entree selections. Ric Orlando truly is one of best chefs in the area—if not the best. This food is sublime. The Italian bread is crusty and flavorful like no other, and beautiful in the eyes of any red-blooded person of Mediterranean descent. 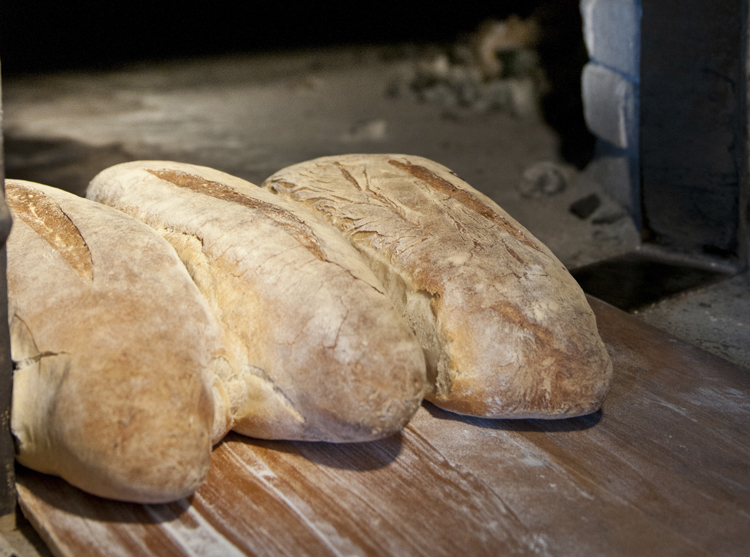 Perreca’s recipe was brought to Schenectady from Italy, and you will swear the actual bread did, too. The web site for the Ugly Rooster says, “Super Fresh Comfort Food.” That’s very true! Ariel Pagan is the chef and owner of the café. He is living out his dream and frankly, ours too in preparing some outstanding food. Cozy, comfortable and chuck full of breakfast choices that make you want breakfast all day long. In 2012, Slidin’ Dirty opened its locally famous food truck in the Capital Region. The owners opened up the restaurant in Troy in 2014 and that, my friends, is history in the world of burgers. Unique choices (not necessarily beef) and small enough to eat a few at one time, matched up with some pretty incredible appetizers and sides. Slidin’ Dirty makes the readers’ best pick in its first year at the restaurant. Way to go! The web site says, “Villa Italia Pasticceria Bakery – Wedding Cakes, Custom Cakes, Legendary Italian Pastry & Desserts,” but the word “amazing” should be added in front of each item. The custom-made cakes are perfect in every way—the taste and the appearance. 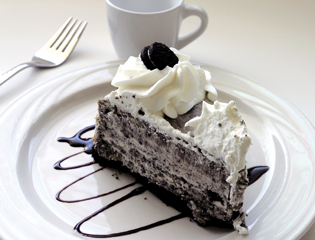 Let them eat cake if you love them, and bring them to Villa Italia. Excuse me while I call my grandson Jackson and tell him (he is the undisputed calamari authority of the world) that the Albany Pump Station has won our first-ever calamari category. The Pump Station’s calamari is lightly floured and deep-fried, tossed with spicy cherry peppers, and served over house-made marinara and drizzled with balsamic reduction. It is fantastic and our readers took notice. This Schenectady family restaurant has been cooking and baking up great food since 1977. The Blue Ribbon makes all cheesecakes from scratch, and they are all wonderful for counting calories. All right, that part is a dream of mine. However, when you taste the Apple Caramel, Chocolate Marble, Pistachio, Peanut Butter, English Toffee, Half & Half, Chocolate Amaretto, Chocolate Covered Strawberry, Kahlua, Chocolate Covered Cherry, German Chocolate, Cookies n’ Cream, Banana, and Oreo, to name a few but not all, you will have the same dream, too. Every year since we created this category in the “Best Of” readers’ poll, the cupcake craze has just grown and grown in popularity. Coccadotts not only has custom creations, but works of art. Some appear to be just too pretty to eat, but they are not—so have five or six (no one is watching). 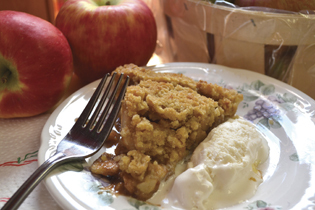 You do not have to wait for the fall or even apple picking time to enjoy these delectable little heaven-scent delights because they are making them every day at Golden Harvest in Valatie. I do not think there is anything like walking into Golden Harvest, smelling the coffee and donuts, and talking to the lovely staff. It is a local gem of a place. I am not sure what to mention first. If you have not been to the Towne Tavern, you must try it. It is warm and friendly—the type of place that you can easily make your once-a-week must do. The Towne serves up 10 jumbo wings turned slowly in the smoker for just a hint of smoke, then deep fried and tossed in a sauce like Mild, Medium, Hot, Maple Bourbon, Garlic Parm, Kansas City, South Carolina, Spicy Bacon Ranch, Buffalo Garlic Parm, Hoisin-Sesame, Spicy Jack Daniels and Heiss und Scharf, Lemon Pepper Tequila, Honey Chipotle, Caribbean Jerk, and Inside Out. Wow! Since 1984 Ravenswood has been serving traditional and delicious pub fare. The chili has won our award in the past, as well as many other awards. If you’re looking for some homemade traditional chili with a kick of spice, you really need to travel the Northway to Clifton Park and grab a bowl or two or three. A lunch or dinner at Jack’s must start with a bowl of its marvelous Manhattan-Style Chowder. It is filling and flavored to perfection. Chowder can be either Manhattan or New England, and I am so happy we don’t have to refer to it as Chowda—another reason to love Jack’s. On your way to work from anywhere in the Capital Region or on your way in or out of town, you will always find a Stewart’s nearby. When you stop, you will always find a friendly face and a wonderful hot cup of coffee that will rival any of the national chains. Bravo to Stewart’s for being a multiple winner year after year after year for the fabulous coffee. The Cookie Factory opened for business in 2006; however, the Alberino family has been making sweets and wonderful cookies for generations. How many generations does it take to make a great cookie? Only one when you are an Alberino. Fudgie Power to the people! Homemade chicken and waffles, southern fried chicken, sweet potato salad—these are just a few of the outstanding comfort food options available at the Flying Chicken in Troy. If you want comfort food that can provide comfort in all situations, you have to make it to Troy’s Flying Chicken. Watch out Colonel S—this stuff is really finger lickin! How wonderful that Blue Ribbon ties for this category along with its other wins this year. The food is the epitome of comfort food, the staff makes you feel comfortable and the diner is like your own home–just with better food! Have a warm bowl of soup, then a filling entrée and some of their cheesecake to round it and you all out. How redundant can we be? Year after year, Gershon’s wins the deli category for its fabulous deli-style food. The sandwiches at Gershon’s will transport you to Brooklyn. There are pickles that Brooklyn may be still hunting for, and everything else is mouthwatering too. Being redundant and right is okay with us. Diners on the East Coast are famous throughout the USA, and that is because of places like Latham 76 Diner. The food is served all day and night, with a wide variety of choices and baked goods that could rival a free standing bakery. Do you feel like breakfast for dinner or dinner for lunch? Latham 76 can do that. What I love most about diners is the variety and the speed in which everything is made for you. At the Halfmoon Diner, everything is served piping hot and whatever you chose, it is done extraordinarily well. How does that happen? Breakfasts, lunches, dinners and desserts. Does anyone get any sleep there? Blue Ribbon was noted earlier for best cheesecakes but I guess that just was not enough for our readers. This restaurant excels at all things dessert. Would that be rice pudding, baklava, cakes, pies and éclairs? Well then, Blue Ribbon is the best! Known locally for fabulous hotdogs, but Broadway Lunch is so much more. From breakfast items to full lunches to large dinners and specialties at wonderful prices. Let’s keep this one a secret—shhhhhhhhhh. What can be said that already has not been said about Jacks? It is a landmark in downtown Albany? No, we said that and it is. It’s great for special occasion fine dining? Yes, it certainly is. It is just plain good on all fronts. Steaks that melt in your mouth and a wine list to die for, that is the foundation of 677 Prime. On that foundation lies great everything else; mixed drinks, unique dessert options. I doubt anyone has ever had a bad meal. It is certainly not an exaggeration to say that as popular as these fish frys are here in the Capital Region, they are as popular with the crowd who once lived here and loved them but had to leave them. Lusting Ted’s Fish Frys just has no limits. Talk with some of the folks who moved from the area and ask what they miss most and you will hear–Ted’s! Finnbar’s has the charm of a pub, but the fish and chips could put all the greasy brown bag variety of fish and chips to shame. Huge piece of perfectly fried fish (not at all greasy) and wonderful house-cut chips to accompany the finn feast. Beer battered fish of course—you can have a pint or two to chase it all down. I am not sure what makes a basket of these fries so very good; I just know, as my readers do, that they are. Crispy yet moist on the inside and so very flavorful and unlike others, you can actually taste the potato. Funny what flavor comes out when you do it right. Attentive bar staff and unlimited craft beers, wines and cocktails make The Ruck a natural to win Best Happy Hour. Stroll in, enjoy the specials and then grab a bite–that is what a good happy hour is all about. Oh, don’t forget to grab a few dozen friends to join you. Restaurant veterans and Wheatfield owners Tim and Colleen Holmes have brought their extensive experience to the Wheatfields concept. The pasta is not only fresh and homemade but the sauces and pasta toppings are farm-to-table, making the food as nutritional as it is great tasting. Every year, Gus’s tops the readers’ poll for its little meat sauce-covered gems. The area flocks to stand in line on the little street in Watervliet to have a few. For as long as memory serves most of us, Gus’s was a rite of hot dog passage. Kudos to this family who can keep the hot dog allure alive! Lines occupy the street in North Troy for the Snowman ice cream, the way black Friday lines congregate each year. The difference is that the Snowman is not offering give-aways—just darn good ice cream. Consistent, friendly and, frankly, the only thing to do on a warm night to satisfy the soul. Kid-friendly dining — yes absolutely it is; however, this is a family place. A warm summer night and family sharing a picnic table means Jumpin’ Jack’s. It is a wonderful Capital Region institution and no place quite like it. Opening for the season on March 26th. No plates and no ice cubes but, boy oh boy, is the food great. After a long night or just the munchies while watching TV, a drop-in at The Brown Bag will help you out. The milkshakes are to die for, the egg sandwiches are perfect when time has you gaining on breakfast fare, and the burgers are so good they are baaaaaaaaaad. By the time you are reading this issue of Capital Region Living Magazine, Yanni’s will be open for the season and you can grab some of the amazing Loster Mac for yourself. It’s called “Grown-up Mac & Cheese” because it has not only lobster but shrimp, diced tomatoes, and a medley of cheeses in a sherry lobster sauce and, of course, buttery bread crumbs. From 7 a.m. to 10 p.m. the Glenville Queen treats every meal with special care and serves delicious food. Lunch here is as satisfying as anything you can enjoy at any time of the day. The home cooking at The Midway Café is amazing, raves its legions of diners. No frills, just great food at exceptional prices. Open 7 days a week and now a premier location for both its food and, of course, the C.H. Evans Brewing Company. The Mac & Cheese contains both lobster and shrimp. Enjoying the Mac & Cheese with a glass of the Brewing Company’s craft beer is sheer happiness. Have you seen the Martini Bar at the Bangkok Bistro? Such fun and the martinis are well made, whatever your choice. The choices, well, they are endless—from the standard gin martinis with olives or a twist to a chocolate concoction that will save you from dessert because you are drinking it. Canali’s meatballs cannot be described on paper. They can only be described with a mouth full and only in language and moans. Stop by and take them out, so you won’t be embarrassed about how many you can eat or, if you must, eat in and behave yourself. With a bakery that is outstanding, Lindsey’s creates some masterpieces called muffins each day. You can’t help but smile when you are at Lindsey’s. It is wholesome and chuck full of homemade goodness. There are many varieties, but all fantastic. Enjoy drinks, great food and entertainment at beautiful Mill On Round Lake. Nothing is more relaxing than munching and sipping under the stars or in the sunshine, and the Mill has it all and some pretty wonderful food as well. Such loyalty is rare but people love, love, love the pizza at Kay’s on Burden Lake. Kay’s is a many-year winner in our readers’ poll for all good reasons—pepperoni, mushrooms, broccoli and many more with a crust to die for! Swifty’s Irish-themed pub serves up some pretty incredible pub food and more. A Delmar location certainly does not mean that the folks in Delmar only appreciate Swifty’s. it is a winner to many throughout our region. Extensive appetizer list, sandwiches, wraps and full dinners served each day. The title translated means simply, pint of beer, but the pub is so much more than a good pint of ale. Without the plane tickets to Wales, you can experience the charm of Wales. A watering hole for friends to meet and a great stop for those who just want to sit and relax with some pup food and great beer. Raise you glass–iechyd da. Racks of ribs served with corn bread and sides in a variety of sizes to fill your rib appetite, whatever its size. Dinosaur has conquered the rib market hands down in a setting that is fun and wild. If you don’t lick your fingers before washing them (and we hope you do) then there is something just not right—you must have stumbled into another rib joint. Lake Ridge offers an elegant setting along with stellar food, serving in its words, “New American Cuisine.” Whether eating an Artichoke Soufflé or Veal Jacqueline, your service will be excellent and your food divine. Your choice for romantic dining is the right one! Two-fisted sandwiches of all kinds. Reubens that are warm and positively oozing with Reuben goodness—or was it Russian dressing? No matter, they, like everything else, are shear perfection. The Earl of Sandwich would be proud. You can make a salad by selecting the ingredients or choose something like a Chopped Antipasti or a Tuscan Bread Salad, just to name a few. 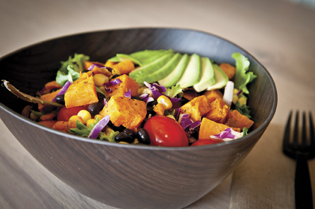 If you can dream it in a salad bowl, you can get it and enjoy at Bountiful Bread in Stuyvesant Plaza. Another win for the newcomer in Troy, moving from a marvelous food truck to a jumping restaurant serving sliders of all kinds. Burgers, tuna, crab cakes and much more served up as sliders with sides that will blow your mind. Get there early and come hungry. The soups are amazing at GB 24, and it does not have to be radically cold as it has been to enjoy them all. There is always an onion soup but seasonal favorites also are available each day. These soups could be your meal—they are that good. Huge televisions on every wall and in every crevice, finger foods, mixed drinks and beer, beer, beer. This is how most of us would envision a sports bar and Recovery Sports Grills has it all. Sit back and enjoy a game without the clean-up in your home. This is a sushi hot spot that the Capital Region flocks to. It is edible art, and the fresh taste extends to the wide variety of sushi that they prepare. The chefs are creative and the service is always on the mark. Explore and experiment at Koto and you will be happy you did. I mentioned the meatballs with Canali’s earlier win but there is so much more at the restaurant and they can all be taken out and home for your enjoyment. There even is a special place to pick up your take-out so that it can be easy and fast. It needs to be fast because you will not be able to wait to bring it home, but please do. Italian food can make a mess in your car if you try it. What would be take-out without Chinese food? Ichiban has so much more to enjoy in the privacy of your home, includng Japanese. All Asian taste buds can be enjoyed by swinging by and grabbing a nice big bag full. Fusion-style tapas served at Aperitivo are always creative and delicious but there are also some traditional choices as well. The beauty of tapas is that it is great for those of us who just cannot make up our minds and want to try several choices. Of course, we want them to be as great as Aperitivo. The Cella family creates authentic ethnic recipes which become selections on the tapas menu. From long-stem baby artichokes with lemon caper aioli to mussels simmered in saffron cream, the offerings are similar to those found in bistros throughout Europe. To have a great wait staff is to have a great restaurant. The food could be amazing—and Creo’ does have amazing food— but not served well can ruin it all. Creo’ does not have to worry about this, the restaurant has it all. You come back each time you dine out in part for the food but in great part because of how you were treated the time before. Great job Creo’ staff! Strolling into Lucas can only be best described as stepping into a world of wine, friendship and ease. Heather & Vic, the Lucas owners, serve great wines in an environment in which you can enjoy your wine choice alone or with many friends. Celebrating great wines each day happens naturally at Lucas. From innovative salads and appetizers, to unique seafood, fowl, meat and vegetarian dishes, Creo’ never disappoints. This mainstay in the Albany dining scene is once again honored for its innovative menu, service, and hospitality and, of course, the unique dining experience. Owner Kevin Brown brings the best of Cajun delights to the area, including the “staples” of Cajun cuisine and some unique selections as well. Cajun isn’t just hot and spicy as many believe and Chef Brown proves it in this well-known special eatery, which must be tried! When you open the door and enter, you feel like you are in the islands with the scents of the wonderful Jamaican creations that are offered. From the staple jerk chicken to the lamb, goat and veggie preparations, every dish is distinctive and has earned this restaurant raving fans, as evidenced by their reviews. Bring the islands home—take out too. A consistent winner in this category, Plum Blossom is the choice of anyone seeking real, authentic Chinese dishes, as well as dishes from other regions. The ingredients are the freshest, the preparations unique, and the presentation beautiful. Be sure to try a personal favorite, General Tso’s Chicken—scrumptious! Dining in Paris is such a unique experience and spoils many. Provence is as close to Paris dining as you can get and this is why it is a favorite of discriminating diners in our region who seek real French cooking in a beautiful setting. The appetizers are very special and Provence features Mediterranean entrees, as well as the favorites that fans of French cooking would expect. The wine list also is very special. A great place to celebrate and kindle a relationship! Wolff’s is all about beer (Bier) and food the beer can wash down. The selection of beers is excellent, featuring, of course, German brews and many others, too. The German food menu is sure to delight and includes wurst, schnitzel and other favorites, sandwiches, appetizers and brunch. During soccer season, it is the epicenter for soccer fans young and old. In the Bolton Landing/Lake George area, Pumpernickel’s is “the” place for German fare and German brews. Many fans comment on the sauerbraten, as well as the other dishes including Hungarian goulash, herring and more. And did I mention it—fresh, cold BEER! A visit to Athos is like being in the finest restaurants in Greece with a beautiful setting, wonderful service and a menu of Greek and other selections that is sure to delight. The grilled octopus is a favorite of many. The menu features classic selections and others that blend the flavors of the Mediterranean and are served with perfection. For the staff at Athos, it is all about sharing the hospitality of Greece. There is Indian food—and then there is the distinctive menu of Karavall’s, featuring selections from all regions of India, prepared expertly and presented beautifully. The restaurant opened to, and continues to have, raving fans and reviews. The menu is extensive with the offerings covering all regions of India and most any combination of flavors that one could imagine. This is an experience, for sure. Cornell’s is a tradition in Schenectady and people flock there from all over the region for traditional and contemporary Italian cuisine. When you visit, you feel like family, from the moment you enter the door and throughout your dining experience. There are specials everyday, featuring meat, seafood, veal, chicken and other preparations, and don’t forget to try the greens & beans, a comfort food in demand by all. The Koto experience is truly that—an experience. The finest in fresh Japanese preparations, incredible sushi selections, hibachi and creative chef preparations have made Koto a favorite in the area for many years. If you are not “into” this cuisine, you will find other selections on the menu sure to please, like the snapper dish that is so unique, lamb chops, and more. But it is the sushi and Japanese dishes that delight all. Tucked away in the antique district of Troy (River Street), sits Beirut with the best Mediterranean and Lebanese cuisine. The restaurant is a family endeavor and you’ll meet them all as you experience selections in the appetizer, dinner, dessert, and sides menu. The blend of spices and absolutely fresh ingredients make the difference. Every selection is made to order, prepared in the traditional fashion with delicious results. Try the hummus—you will never eat store-bought again! Located near RPI, it is a favorite for the college’s students. There is no doubt about how smart these students are. They got into RPI and they know good food when they taste it! There are salads and appetizers, unique pizzas, kabobs steaks, as well as wood-fired dishes. When people think of Mexican cuisine, they often think about the salsa, the chips, the carne and maybe nachos. But not at El Mariachi. This menu features the expected staples of Mexican cuisine but also a number of innovative dishes unique to our area that beg you to experiment—and you should. Combine this with Mexican cocktails and beers, and you will be dying to run to the airport and fly off to Mexico! 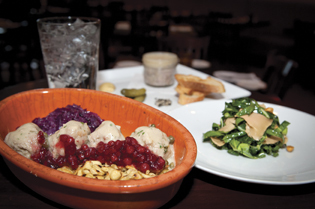 Muza is known for its European foods, especially selections from the kitchens of Poland. Everything is made from scratch here and you can peer into the kitchen to watch the family hand craft your selection. If you can’t make a selection and want to try it all, try the Polish Feast. If you want a crowd favorite (and mine too) starve yourself for the Muza special: Stewed beef goulash sandwiched between two large potato pancakes, topped with beef gravy and a side of sauerkraut. Yes, you read it right! Reel Seafood underwent a huge change when daughter Aliki Serras purchased the restaurant from her dad to continue the 28-year history. She turned it upside down—new décor, menu selections (don’t worry—the raw bar is there in its splendor) and service is above par. The seafood—so fresh you swear it is still alive—comes directly from the shores each and every day. The specials are innovative each day and deserve consideration. Mr. Pio Pio brings Latin American cuisine to the Capital Region and from the recommendations, it is a smashing success. Every menu item is prepared fresh to order. Not only is the menu a delight to review, it is a value, as well, with reasonably–priced appetizers and entrees. Bring in some of their chicken and special sauce. Your family will thank you! Memories of the Barnsider go back years to the time when this mainstay in the region was in Colonie Center and there were peanut shells on the floor. Nothing has changed and this is good. Barnsider is the place of a reasonably priced delicious steak, bar none. The menu features seafood and other selections, too. In addition to the main dining room, there also is the Hawkeye Grill for lighter menu items. While there is a host of Thai restaurants in the region, diners have picked this new entry as their favorite, 2 years in a row for creative Thai cuisines prepared from local ingredients by trained Thai chefs. There is a lunch, dinner and appetizer menu that features some staples you would expect to find, and many other creative menu items worth trying. New World opened to accolades and the praise continues. Chef Ric Orlando presents the most creative menu and it changes seasonally. It always features new creative ideas. The vegetarian menu is very impressive, hence the honors. The motto of “Global Cuisine, Local Pride” shines at this popular bistro, and when you review the menu, you will know why! Featuring the cuisine of Vietnam, Pho Yum delights all with its mainstay Pho soups prepared in many ways, as well as noodle dishes and other menu selections including spring rolls prepared Vietnamese style and rice dishes. PHO is a savory soup that honestly warms the body and soul. Angelo Mazzone’s 677 Prime is known for steaks, classic seafood preparations and innovative new recipes that you will find on the menu. This restaurant is the choice for romantic dining, a power business meeting, or just a night out with friends. It is one of Albany’s premier dining rooms, for sure. Check out the specials and promotions on line. It was a tie this year between these two restaurants that share the distinction—they are the premier spots in Albany. Jack’s has been around it seems forever, but it never tires: From the warm welcome at the door (it’s not just hello—it’s welcome home!) to the white linen service and a menu that features the classics that made Jack’s famous and new creations contributed by the chef. Yes, there are oysters (the best) and other raw bar selections. Under the guidance of owner Brad Rosenstein, Jack’s never disappoints. 30 Main Street, Stockbridge, MA. Talk about history. The Red Lion Inn has been welcoming travelers and visitors for over two centuries. The Main Dining Room is beautiful, with a menu filled with Inn classics and the chef’s innovative creations. One can also dine in the Widow’s Tavern or in the Lion’s Den. Each has its own menu. Take time to sit on the porch or in front of the fireplace—so relaxing! 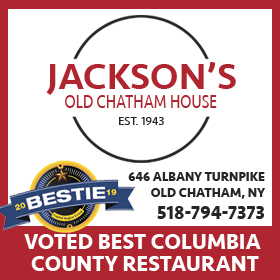 Jackson’s Old Chatham House will delight all with its extensive menu featuring burgers, sandwiches and a full menu including Ossco Bucco, Aunt Sandy’s Chicken Cordon Blu, steaks, ribs and more. There is a lighter menu, as well, and plenty of appetizers to get one started. Don’t be thrown by the name—this place is all about Italian and you can just see the pride of the family in presenting a huge menu of Italian classics and their own additions. Seafood, pasta, steaks, veal, chicken—there is so much offered. All served home-style by the Parillo family who cares! This French-inspired restaurant is a real find, as many attest to. The chef’s creations, prepared in the French tradition, are inspiring and unique. You will find other European delights within the menu. There are specials every day, including seafood, meat, pasta and more. The chef, along with the service, is why this restaurant is a consistent award winner. Since 1951, Brooks has been serving up what many feel is the best BBQ food in the East. From chicken to ribs to pulled pork and steak selections (not to mention incredible sandwiches and burgers), this is a BBQ haven. It is a destination spot for sure and well worth the rather short drive or just invite all your friends and bring the BBQ to you. the chef/owner dreams up. 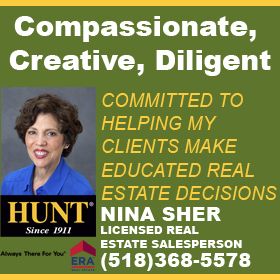 “Unpretentious, comfortable and inviting”— what people have said about this favorite in Rensselaer County (East Greenbush). In the “crowded” Saratoga dining scene, the competition is fierce. But consistently Lake Ridge Restaurant shines above the others for its fine cuisine, beautiful décor and service. As one of my fiends commented to me, “They do it right.” Quality is paramount here, and it is reflected in the reviews and returnees to this Saratoga County favorite. Located in Schenectady’s Little Italy, Cornell’s has been serving fine Italian cuisine for years with attention to quality and service. The veal, chicken, beef seafood and pasta selections are wonderful. Paired with one of the many items on the antipasti (appetizer) menu, you will not go home hungry—only happy! This is certainly a destination spot. In the retail store, you can shop to your heart’s content. But it is the café that is receiving attention. The café offers wraps, panini, salads and more in a setting where you can gaze out on the splendor of the Schoharie Valley. Soups are always homemade, and the menu features daily specials and delectable desserts. This restaurant is receiving accolades from all-round the globe for the innovative menu, quality and attention to detail. Chef Bill Scully has been recognized for his fine dining cuisine and wonderful service by Frommer’s and many other critics. There is a tasting menu to make your selection “easy” and two dining rooms in this restaurant, which was once a house. Worth a trip to North Bennington VT! 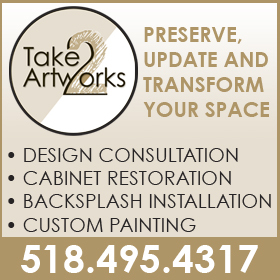 Comfortable, casual dining Adirondack style is what is promised and what you will receive. The dining room is inviting and casual. The menu features steak that cannot be beat, chicken, seafood, ribs and other entrees. Everyone will be pleased, as they will find something special. For years, the salad bar has been famous on it own, as well.